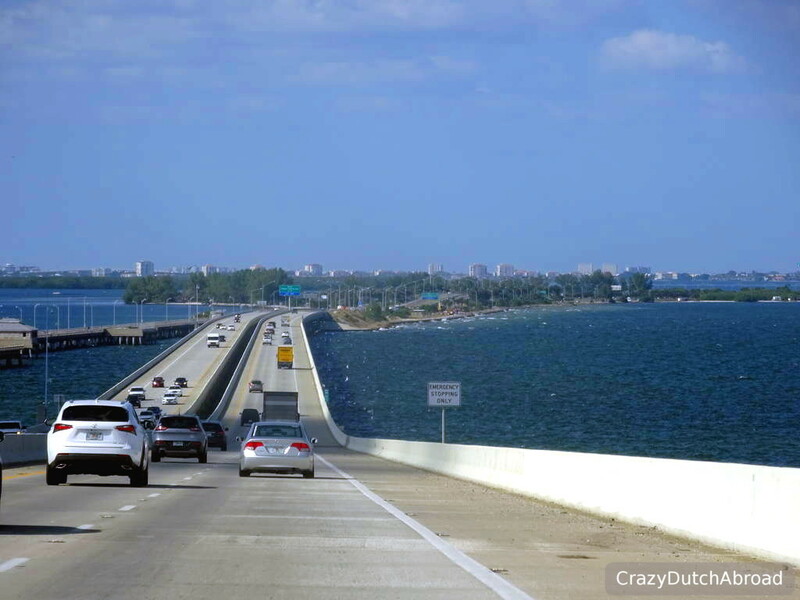 Driving along the West Coast of Florida with scenic roads, bridges and beach towns! The West Coast of Florida might be not as spectacular as the East Coast but driving along the Gulf of Mexico definitely has its gems. After visiting the Florida Keys and the gators in the Everglades it was time to hit the road to drive to Homosassa. The second and largest part of this road trip is the coastline. You will cruise through upscale beach towns along scenic roads and over interesting bridges. Make sure to leave the 41 at Bonita Springs to get closer to the shore. Follow the 865 (Estero Boulevard) all the way to Fort Myers Beach. 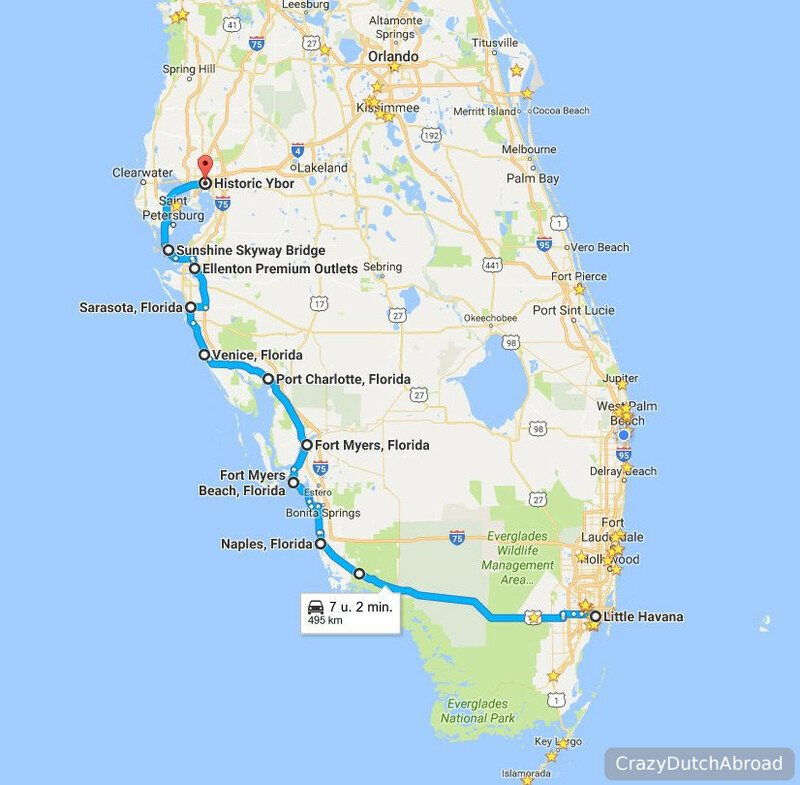 From Fort Myers Beach you cruise through Cape Coral along the 867, from Fort Myers you can go back on the 41. The most scenic part of this trip is in between Port Charlotte and Sarasota (Fruitville Road). 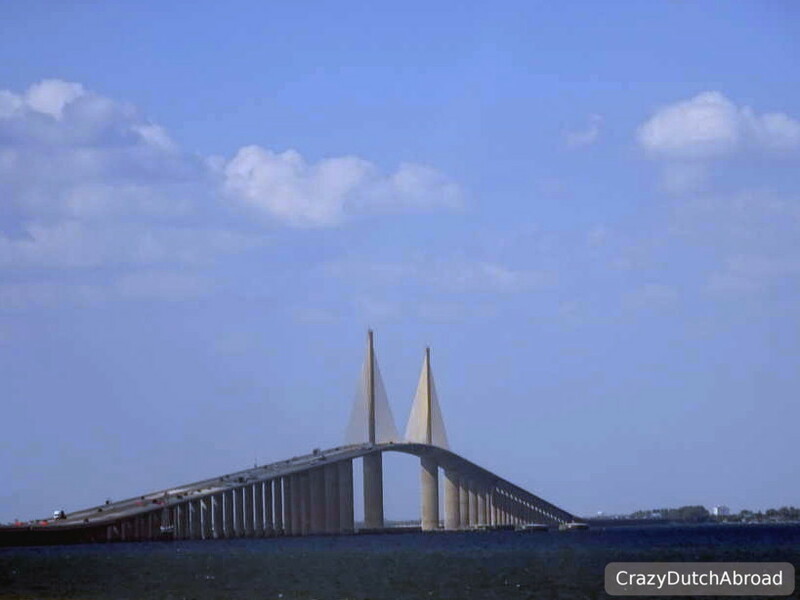 After this you get the Sunshine Skyway Bridge and pass St. Petersburg before entering the Tampa area. Things to love when driving along the West Coast of Florida! Park the car along Old San Carlos Boulevard and walk up Fort Myers Pier for great photo opportunities. The Pier side Grill and Famous Blowfish Bar is a nice waterfront spot with good happy hour offers. This outlet mall offers all kinds of big brand outlet stores. From Tommy Hilfiger to Nike and from Bose to Samsonite. Some great deals are found here for premium brands. You can even get a coupon booklet for more discounts and one receipt is valuable for another offer...Shop till you drop! Not touristy, but - of course - some other Dutch people. With a history going back to the 1880s this area has Italian, Spanish and Cuban influences. From people rolling cigars in front of their shop to people reading newspaper in a French brasserie, the vibe is lively and colorful. 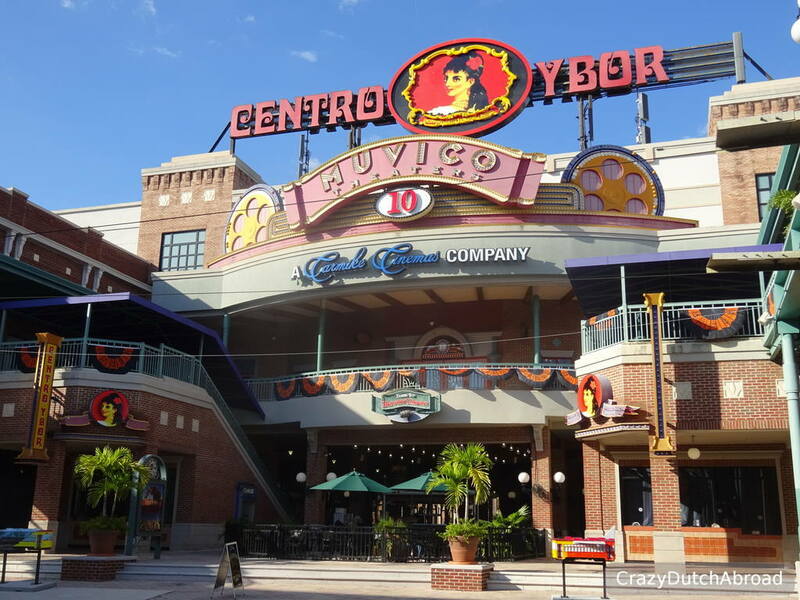 There are plenty of cozy bars and restaurants around as well as comedy theaters and make sure to visit Centro Ybor and the Tampa Bay Brewing Company. 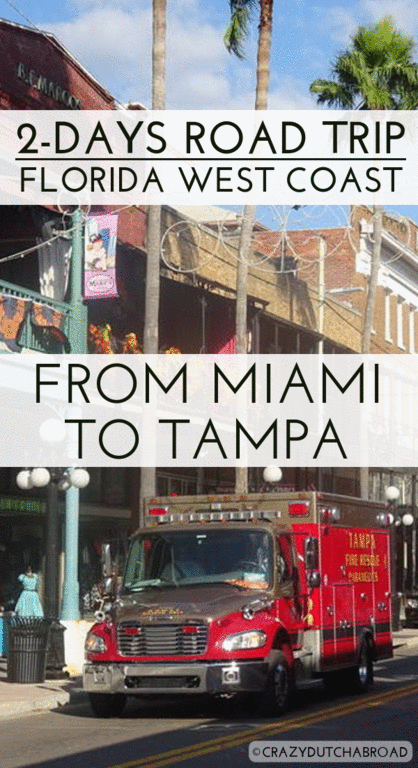 Lessons learned along the West Coast of Florida! Most of these little beach towns seem to be taken over by elderly people, pensioned people might be a better description. We found out there is a migration going on in the States, people move to the Southern States during wintertime to escape the cold. 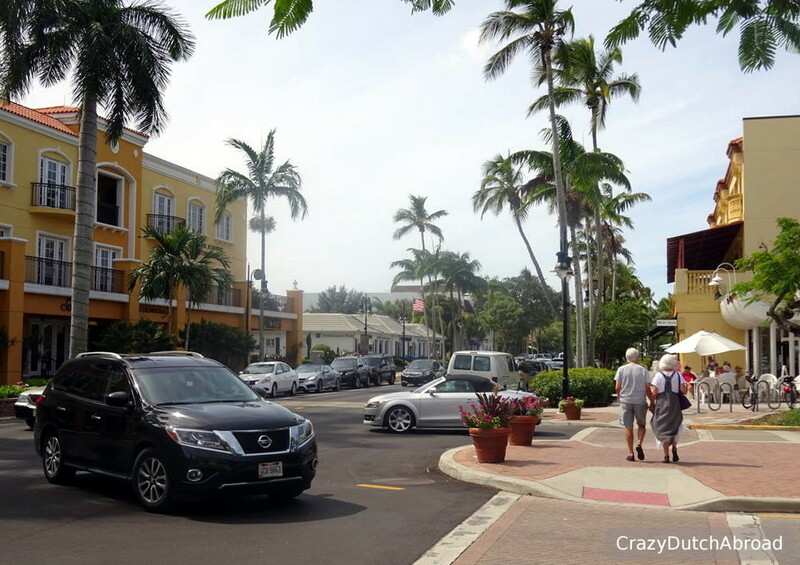 Towns like Naples and Fort Myers Beach seem to be more built for elderly and a bit upscale. You will find more unique boutique shops, mom and pop stores, a nice chain from all the franchises and fast food chain stores. Things we skipped but you might love! We took another short-cut to save time so we skipped the coast road from Clear water to Homosassa. Hudson is supposed to be a lovely waterfront town as well. Here we wanted to spot living Armadillos (would have been nice for a change) but we did not wanted to take a long hike with all the luggage in the vehicle (including laptops). Staying overnight was not worth it for us, Homosassa seemed more appealing. Strip with bars The best strip we found was at East 7Th Avenue in the Historic Ybor area of Tampa. Taxi About 3x the price of an Uber and quite hard to find outside peak area.! Taking pictures from a bridge might not be as 'like a local' as it can be, but the Sunshine Skyway Bridge is a monument and attraction around here. You will find thousands of reviews about this amazing structure with great views and one of the worlds largest fishing piers. Reading reviews online is great, especially the lowest rated ones! When you ask somebodies opinion face-to-face, which I do a lot, you get a vague response. When you check online - you get all the crap and over-the-top compliments. So, to act like a local, let me review a bridge online! "It is just a nice bridge! Not world-class architecture and not worth an hour detour if you have traveled a bit around (meaning outside the States)..." - and yes, I mean it! Let's travel the world in a crazy way!